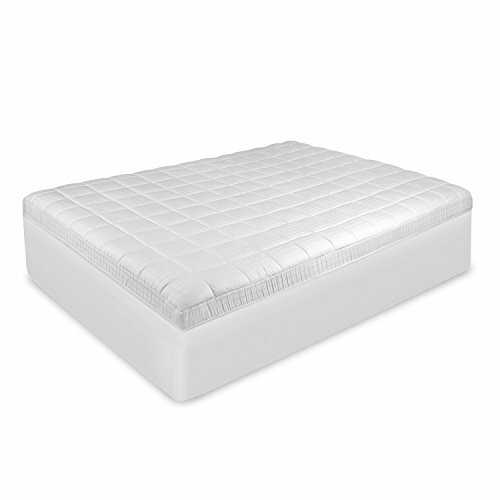 The SwissLux Euro Top antimicrobial pad protects your mattress while increasing the comfort of your sleep. 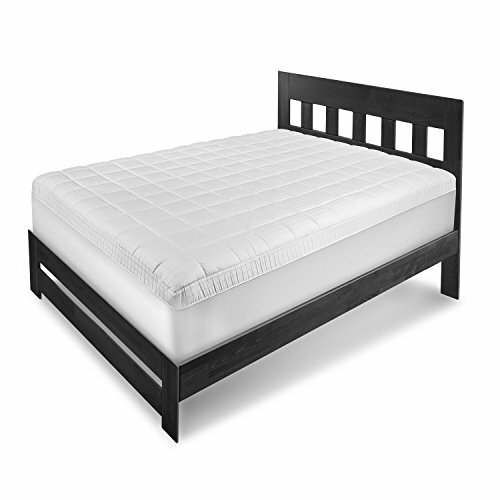 The 300 thread count, 100-percent cotton cover features a Euro top, 6-inch x 6-inch windowpane print design with a stretch-to-fit bed skirt that increases mattress protection by 15-percent. The stain resistant, odor eliminating cover is filled with antimicrobial, hypoallergenic UltraFresh fiber. 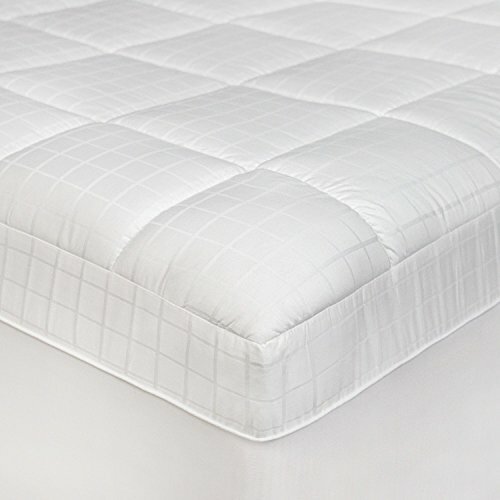 Shell materials: 100-percent cottonFill materials: UltraFresh polyester fiberPocket depth: 13-inch skirt stretches to fit up to 15 inch mattressesThread count: 300Care instructions: Machine washableDimensionsTwin: 39 inches wide x 75 inches longFull: 54 inches wide x 75 inches longQueen: 60 inches wide x 80 inches longKing: 78 inches wide x 80 inches longCalifornia king: 72 inches wide x 84 inches longThe digital images we display have the most accurate color possible. However, due to differences in computer monitors, we cannot be responsible for variations in color between the actual product and your screen. If you have any questions about this product by Swiss Lux, contact us by completing and submitting the form below. If you are looking for a specif part number, please include it with your message.